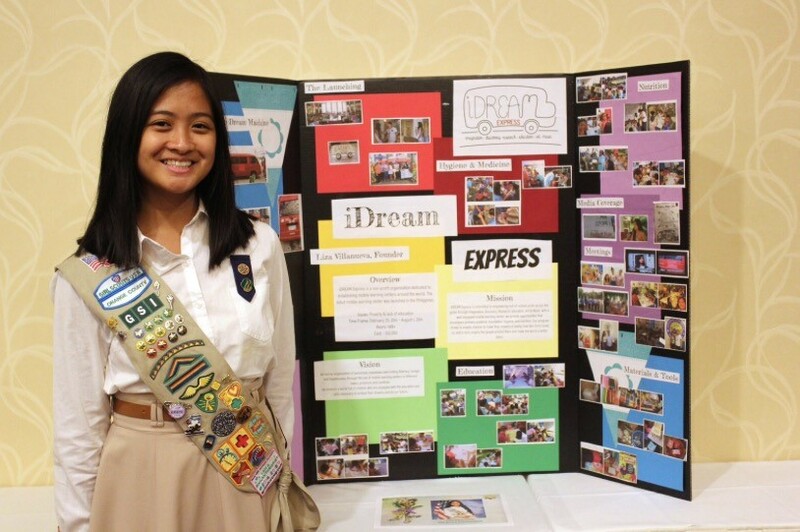 I had become the founder of an international nonprofit organization, iDREAM Express. I’m Filipino-American, and I visited the Philippines for the first time when I was seven years old. Even among the unfamiliar faces and exotic places, only one thing truly struck me: the homeless children roaming around and begging on the streets. Some were abandoned, others abused. Many were my age. After a fulfilling and eye-opening vacation, I returned home with a heavy heart and a longing to help these children. However, being just a young child myself, I didn’t know what else to do but to give up my allowance each month (along with my brother) and sponsor a child through World Vision. My family and I continued to give back to our Motherland in various ways, but the burden of the children stayed with me over time. Little did I know that the perfect opportunity to help was fast approaching. 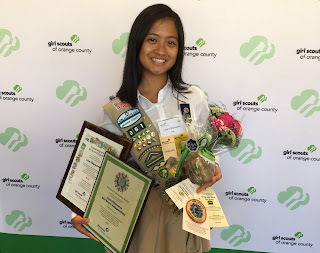 At the start of my thirteenth year of Girl Scouting, it was time to begin working on my Gold Award—and, in light of Typhoon Haiyan, I took the opportunity to finally turn my desire to help into action. After months of planning and collecting over $10,000 worth of donations, I booked a flight to the Philippines to execute my project plan. There, I bought a van, equipped it with school and art supplies, instruments, books, and tablets, and formed a team of volunteer teachers. Over the course of just three weeks in the Philippines, my months of planning and dreaming had transformed into reality: iDREAM (imagination, Discovery, Research, Education, Art & Music) Express was born. However, this accomplishment did not come easy. I traveled to the Philippines alone, suffered allergic reactions to over forty insect bites, and struggled with the drastic climate change. Being the only American there, dealing with language barriers and adjusting to my living situation only added to the stress. Despite these challenges, I never lost heart; rather, I reminded myself why I was doing this: for the children who otherwise would not receive an education and instead, would wander the streets, begging for food, money, or even drugs. The hopeful vision of a safe haven and a better future for these children served as constant motivation for me and my team. It’s now been more than a year and iDREAM Express continues to hold classes twice a week at two locations. Our students, whom we refer to as our Dreamers, are fun-loving, lively learners who enjoy being nurtured and taught by our dedicated and diligent Dream Team. Aside from playing games, singing, dancing, and receiving a basic education in reading, writing, and math, our Dreamers are provided treatment for wounds and infections, proper footwear and clothing if needed, hygiene care, and hot lunches. Seeing the impact made by iDREAM Express has only reinforced my belief in the value of education. 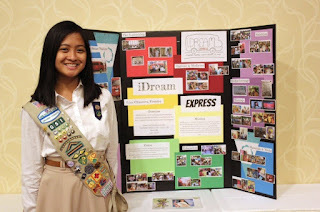 I believe that a solid foundation is vital to empowering our future leaders, and because I know that school may not be accessible, free, or safe for others, especially girls, around the world, expanding iDREAM Express across the globe is what I want to do for the rest of my life. So what’s next? Establish a mobile learning center in Mexico, then India. And after that? Who knows? I hope that you’ll join me. Although I do still need to get my driver’s license. The 2015 National Young Women Of Distinction recipients will be celebrated on October 7, 2015, at Edith Macy Conference Center in Briarcliff Manor, New York. For those who can’t attend the event but still want to be a part of the conversation, join via livestream or follow #NYWOD15 on Twitter. As part of this prestigious honor, the Kappa Delta Foundation affirms its commitment to girls by providing $50,000 in scholarships to Girl Scouts’ National Young Women of Distinction. GSUSA will be matching the Kappa Delta Foundation’s gift with an additional $50,000 in college scholarships for the ten extraordinary young women.